Substitute Tayla Christensen scored a dramatic last-minute winner to help New Zealand to a hard-fought 1-0 win over an unlucky Ghana on the opening day of Group C action at the 2016 FIFA Women’ World Cup. The match was an entertaining affair played at a good tempo throughout, but New Zealand’s Nadia Olla was the far the busier of the two goalkeepers and produced several key saves. 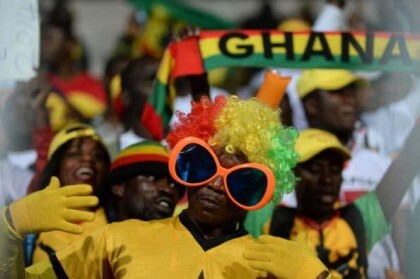 The Oceania side started brightly but Ghana took a clear stranglehold as the first half wore on. New Zealand spurned two good opportunities within quick succession early on via Isabella Coombes and Martine Puketapu, the former set-up by the ever lively Paige Satchell. But suddenly Ghana sprung to life. The Black Princesses were lively in possession and made numerous successful forays down the flanks, constantly looking dangerous from crosses and corners. By half-time New Zealand goalkeeper Olla had made half a dozen saves. The best chance of the opening half saw Jane Ayieyam volley a cross over the crossbar from close-range, narrowly failing to convert what would have been a spectacular goal. Ghana kept knocking at the door but their efficiency in the attacking third was poor. The clearest opening of the match saw Wasila Diwura-Soale latch onto a midfield turnover and run clear, but Olla came out to make a brave diving block at the feet.